It was the showdown we’d all been waiting for. 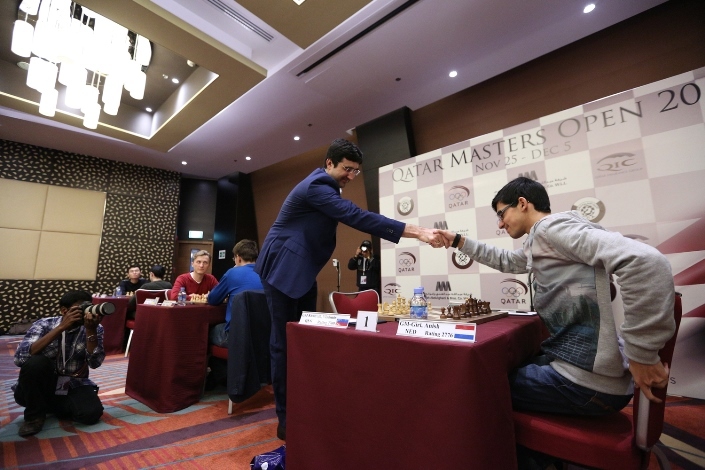 Anish Giri, on a streak of six wins out of six, faced a day of reckoning against Vladimir Kramnik. What followed was a bitter pill to swallow for the young Dutchman as Kramnik, one accidental opening innovation aside, produced a masterpiece of positional chess to catch Giri on 6/7 with two rounds to go. 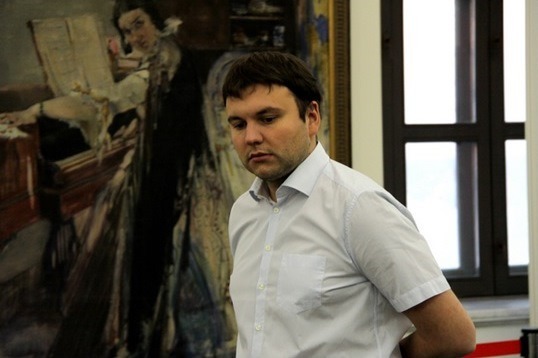 Over in Russia, meanwhile, Igor Lysyj has stolen the limelight by adding Sergey Karjakin to his earlier scalps of Dmitry Jakovenko and Alexander Morozevich. Anish is now even ahead of me on rating but still at the moment it’s a bit difficult for him to play me. Of course it’s clear that time is running for him, so very soon he will start to beat me - like a patzer! But for the moment I’m still holding somehow. 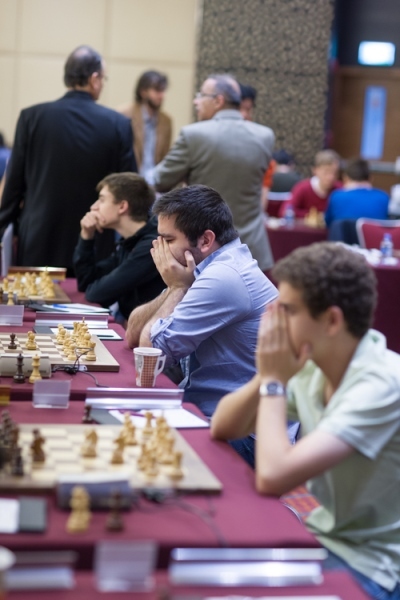 There are a lot of very good young players – Caruana, Aronian… and Grischuk is playing very well nowadays. If he keeps on playing like this he can really challenge. And some younger guys like So – he’s risen very quickly. Now the competition is incredibly high. You cannot really predict who is going to be Carlsen’s next opponent. Karjakin as well, of course. Here Black is much better, but Salem’s 42…Rxd5! was the only way to end the game on the spot. White can’t take the rook due to Re2+ and a quick mate, but there’s also no way to parry the threat of Rd2+ e.g. 43.Rf2 Qe5+ picks up the rook on a1. 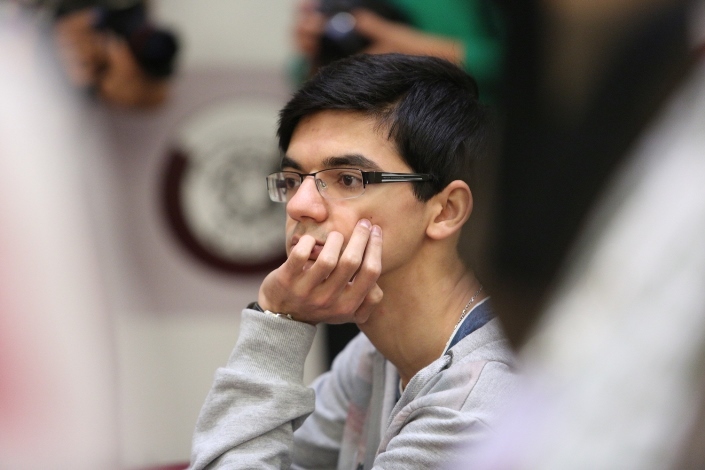 When Igor Lysyj took the lead in the first round of the Russian Men’s Championship Superfinal it looked coincidental – yes, he’d beaten 2732-rated Dmitry Jakovenko, but he was only leading since all the other games were drawn. Now after Round 5, though, he absolutely deserves his sole lead on 3.5/5, since he’s added Alexander Morozevich and now Sergey Karjakin to his list of scalps – and taken his live rating to a neat 2700.0 going into the rest day. Here 38…Bxc6! seemed counterintuitive, giving White a supported passed c-pawn, but Igor had seen that after 39.dxc6 (39.Rxc6 may be better, but it seems Igor was right to describe this position as strategically lost for White afterwards) 39…d5! he’s crashing through. Igor Lysyj delighted me by playing a classical “Hedgehog”. No doubt in future I’ll use that game if I continue my Hedgehog survey. The game really did end up very solid, with everything done sensibly and expertly: the opening, the setup and the accurate and competent manoeuvring. Igor pushed ahead at the right moment, opening the position. It felt as though Igor simply played brilliantly. It’s hard to understand what’s going on with Sergey Karjakin in this tournament. It’s obvious that for some reason Sergey isn’t in form. In short, it’s a surprise that the Elo favourite is at the bottom of the table, while the newcomer has raced out in front. Igor was born 27 years ago in the industrial city of Nizhny Tagil in the Ural Mountains. 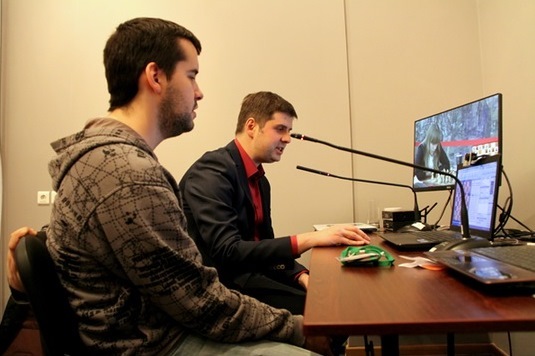 He still lives and has studied for two degrees (Economics and Sport) in the region, gaining some support for his chess career from the university and also the locally-based chess team Malakhit, with whom he won the 2014 Russian Team Championship. Perhaps Lysyj’s career-best individual result was to finish half a point clear of the field with a 7.5/9 2847 performance at the 2012 Moscow Open, but he’s also had a very impressive 2014. He finished 2nd in the Iasi Open in Romania and then went on to win the Russian Higher League to qualify for his first ever Russian Championship Superfinal. I have to note that not studying the ideas of such creative guys as Igor Lysyj and Alexander Riazantsev looks slightly frivolous in our omniscient computer age. Everyone now has a powerful computer and when we switch on Houdini we all become great analysts. Of course I find Dmitry’s opinion flattering, but with the current state of technological development if you have some stubbornness and are willing to expend time and energy then it’s become much easier to do high quality analysis than it was 5-6 years ago. Although back then it was more interesting to analyse. Lysyj is also the co-author of two books on 1.e4 e5, including one devoted solely to the Berlin. In any case, with four rounds to go after Wednesday’s single rest day Igor will have a chance to try and repeat Dmitry Andreikin’s feat in 2012 of winning first the Higher League and then the main Russian Championship. Morozevich responded to the attack on his rook with 35.Rc7?, but instead 35.f6+ wins. Black can’t take on f6 with the king due to the knight fork on d5, while other king moves allow White to push his e-pawn to the seventh rank. Perhaps the weirdest game of the day, however, was Svidler-Nepomniachtchi, which looked to be going all Peter Svidler’s way after 15.b4! If I play on let’s say I win after some long game in some slightly better endgame, or I lose in three moves. I didn’t really want to lose in three moves, especially after I met with b4 in the opening. After b4 really the percentage that I’m losing by force was slightly more than, let’s say, 80. It was great fun, and can be replayed from around 01:40:00 in the video above. Svidler explained his tournament situation (“I'm currently on -1, having lost a position against Alexander Morozevich that under normal circumstances out of ten games you win five, you draw five”), how he’d been confused by the speed of his opponent’s play and introduced the mysterious phrase: “The worm is so long and life is so short”. Sergey Karjakin, meanwhile, was keeping up his spirits and solved one of the mysteries of this year’s Championship – where was Russian no. 1 Alexander Grischuk? Once again you can admire Aleksandra Goryachkina, who’s demonstrating very adult chess. You can say of her that she plays with an unwomanlike solidity, despite her young age. 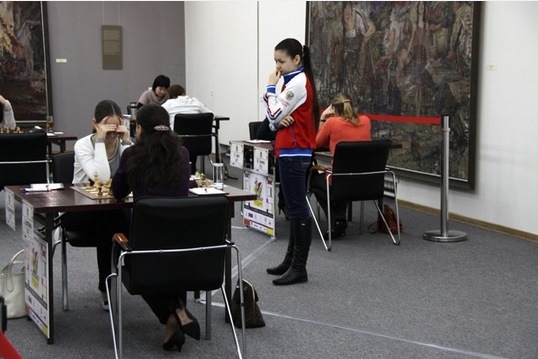 If you don’t count the brilliant Aleksandra Goryachkina, but she’s a woman’s grandmaster. We can safely assume she’ll soon be a men’s grandmaster, and that producing such a player isn’t too bad for any region!